Jim and Greg kick off the Sound Opinions World Tour with a musical voyage to Sweden. DJ Stefan Wermelin is our guide through Swedish Pop history from ABBA to Robyn. For as long as we can recall, the music industry story has been a sad one, but perhaps there's a happy ending? It's taken 13 years, but music revenues are finally up, albeit by 3%. That's still cause for celebration, though. Digital music has been a big boost to the record biz, with its contribution to 30% of sales. Which artists are selling? No surprises here: Adeleand Carly Rae Jepsen are the reigning queens. This week the Center for Copyright Information, which includes members of the RIAA, MPA and many ISP's, will begin to alert users engaged in illegal activity like piracy. The system hopes to be educational, rather than punitive. So, after“six strikes,”or alerts, a user may lose internet speed or be forced to watch videos about piracy. Will this be enough to curb a commonplace practice? We dunno, but here's a video to tell you more. And please note the exits to your right and left. Jim and Greg have always insisted that rock ‘n’ roll belongs to the world. In our new series, the Sound Opinions World Tour, they prove it by zeroing in on countries that've made big contributions to global rock and pop. Their first stop is the largest exporter of music per capita in the world: Sweden. Swedish DJ and public radio host Stefan Wermelin is our guide through the country's musical history. Stefan explains that in the '50s and '60s, Sweden was a pop music backwater. Musicians churned out cut-rate covers of American and English hits. The '60s hippie“Progg”movement injected some originality and artistic ambition into Swedish music, but things didn't really change until ABBA hit it big with "Waterloo." According to Stefan, ABBA set the template for Swedish success. The band created big hits by co-opting the best bits of global pop music and stitching them together with meticulous production. That tradition of pastiche continues today with Swedish producers like Max Martin, the man behind a hundred-and-one Billboard Top Ten hits (Britney Spears' "…Baby One More Time" and Kelly Clarkson's "Since U Been Gone" among them). But today, Sweden's also experiencing an indie renaissance in genres as varied as death metal, dance music, and Americana. Decades after ABBA, artists like The Knife, Lykke Li, Robyn, Opeth, and First Aid Kit are staging a second Swedish invasion. After his solo project The Eraser, Radiohead frontman Thom Yorke went out on tour with a group that could only be described as "super": Red Hot Chili Peppers' Flea on bass, Radiohead producer Nigel Godrich on programming, Joey Waronker on drums and Mauro Refosco on percussion. 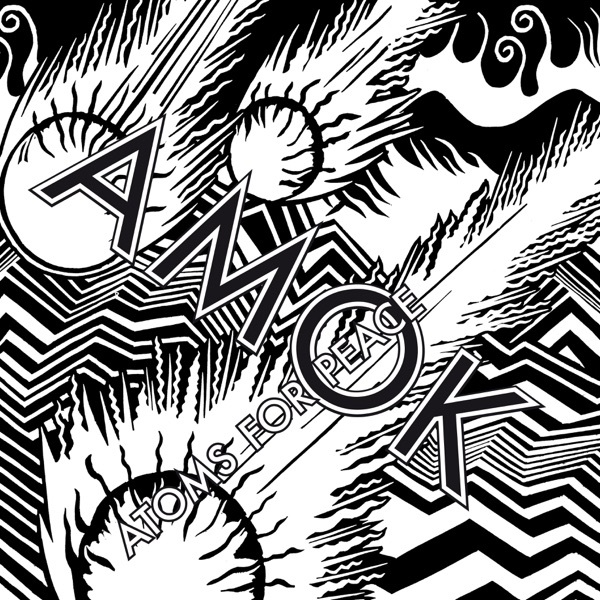 The collaboration worked so well that the group has released an album under the name Atoms for Peace. Greg was impressed with how The Eraser really found its identity live, and he has high hopes AMOK will do the same. But on record, the songs are not as strong as the production, so he can only say Burn It. In terms of his unique voice, Thom Yorke has finally won Jim over. He gets the robotic and alien nature of the voice the electronic musicianship and the dystopian lyrics and says Buy It.